The new healthcare and life sciences ecosystem requires us to stay up-to-date on current trends and future challenges in the sector, helping make us more efficient in a situation of economic uncertainty, volatile markets, regulatory changes and increasing demand for innovation and generating value. The 2016 Forum of the BioRegion is a meeting to promote reflection and knowledge in this arena, with international experts presenting successful public-private partnership experiences; discussions of where the biopharma, medtech and digital health subsectors are heading; and opportunities for dialogue and networking. An indispensable investment of time for anyone interested in staying up-to-date, discovering new ways to grow and identify opportunities, and being prepared to face the complexities of this constantly changing sector. 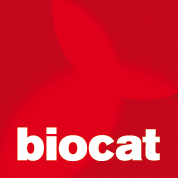 In honor of its 10th anniversary, Biocat is inviting the whole BioRegion to participate in the main event in the healthcare and life sciences sector in Catalonia, which hopes to bring together, once again, a representative number of executives, entrepreneurs, research entities, hospitals, universities, researchers and investors.